From the inception of Ambulatory Alliances, we wanted to build an exceptional investment banking firm that could assist accomplished physician owners with what would be the most consequential and sometimes most daunting process of their careers; that is buying or selling an ambulatory care center. This could be an ambulatory surgery center (ASC), endoscopy, radiation oncology, or urgent care center. In order to do this, we needed a different business model. Prior to forming Ambulatory Alliances, our core team worked with physicians to help them acquire and retain the best and brightest talent. While working with them in that capacity, we began to better understand our physician partners and their needs. We gained mutual admiration and respect for their entrepreneurial drive and recognized that some of them needed help in the process of selling their ASC, endoscopy or radiation oncology center. 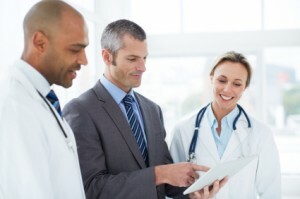 We also came to understand that while many of the buyers of ambulatory centers employ well-seasoned M&A and development staffs, physician owners could benefit from our industry expertise and unique skills and capabilities in regard to the selling process. We saw that physician owners, when contemplating selling their outpatient centers, felt they were at a disadvantage. This observation helped us recognize that this sector was under-served, and that there was a profound opportunity for us to fill this void by building a firm that was highly differentiated by its focus on the ambulatory care center market. The current growth and interest in urgent care center shows that the ambulatory care market will only continue to expand, leading to more choices and decisions for the doctors who own these centers. Over time, we believe that Ambulatory Alliances’ accomplishments will be measured by the success of the physician owners we support and the enduring legacy that we create together.